Syracuse University is driven by its vision, Scholarship in Action—a commitment to forging bold, imaginative, reciprocal, and sustained engagements with our many constituent communities, local as well as global. SU is a public good, an anchor institution positioned to play an integral role in today’s knowledge-based, global society by leveraging a precious commodity—intellectual capital—with partners from all sectors of the economy: public, private, and non-profit. Each partner brings its strengths to the table, where collectively we address the most pressing problems facing our community. In doing so, we invariably find that the challenges we face locally resonate globally. We cultivate and sustain public intellectuals. Serving the public good in these ways pervades our daily decision making and connects us not just with our immediate community, but with communities throughout the world. These outward-looking engagements both optimize education and yield new forms of scholarship and new scholarly arrangements, propelling us forward as an academic institution. They allow us not only to create innovations that matter, but to test our notions of who is a scholar and what scholarship is. Scholarship in Action captures a vital, historical strength of the Central New York region and the City of Syracuse, as well as the University. Our region has a treasured history of social innovation, having played a key role in abolitionism and the women’s rights movement. Even those ideas—revolutionary in their own times—found inspiration locally in the indigenous culture of the Haudenosaunee people, whose matriarchal society thrived in the region before the arrival of Europeans and whose form of government inspired our nation’s founders. The process of adopting Scholarship in Action as our vision was organic as well. Chancellor Nancy Cantor dedicated her inaugural year to the theme “University as Public Good: Exploring the Soul of Syracuse.” All of SU’s stakeholders were invited to share their reflections on our strengths and aspirations for our future—from students, faculty and staff members to alumni to friends of the University to members of the local, regional, and global communities. The many activities of that reflective year revealed profound thoughts and feelings, from which two very clear messages were distilled: (1) universities today must connect more tangibly with their communities and (2) Syracuse University, in particular, is remarkably well positioned to do so. Scholarship in Action is a faithful translation of these messages, a bona fide expression of the identity to which the Syracuse University community aspires. Syracuse University is comprised of nine individual colleges, representing the traditional liberal arts as well as professional fields of study. 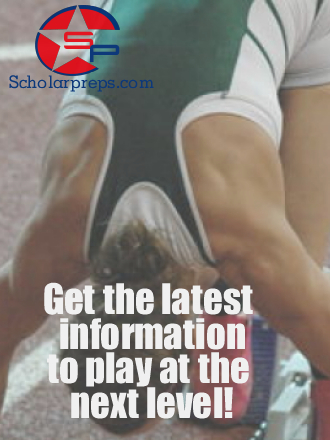 Please use the links below to visit your college of interest. Using the links to the right, find out more about the more than 200 majors and 90 minors, the available academic resourcesand opportunities, the intellectual life on campus, and Chancellor Cantor’s vision ofScholarship In Action. Nearly every family finds meeting the cost of college a challenge. Last year alone, nearly two-thirds of SU students received over 160 million dollars in Syracuse University grants and scholarships. This assistance was provided to students from across the economic spectrum, and included enhanced support to middle-income families. In addition, our Scholarship Office can work with you once you are enrolled to find additional funding. Visit theOffice of Scholarship Programs for more information. Student loans are an expected part of paying educational costs. Syracuse University makes every effort to ensure that students who invest in their education by borrowing student loans graduate with reasonable debt levels. Students are offered personalized loan counseling sessions throughout their college career, especially at the time of graduation. The sessions provide tips to avoid excess loan borrowing and strategies to manage loan debt once he/she enters repayment. Please visit our Office of Financial Aid and Scholarship Programs to learn more about our commitment to affordability. FOUNDED Officially chartered in 1870 as a private, coeducational institution offering programs in the physical sciences and modern languages. CHANCELLOR Nancy Cantor, 11th Chancellor and President. MAIN CAMPUS Syracuse, New York, located in the heart of Central New York, is within easy driving distance of Toronto, Boston, Montreal, and New York City. EXTENDED CAMPUS SU offers a rich mix of academic programs, alumni activities, and immersion opportunities in numerous centers in the U.S. and around the globe, including major hubs in New York City, Washington, D.C., and Los Angeles. ENROLLMENT The total University enrollment for fall 2009 is 19,638. Full-time undergraduate, 13,040; part-time undergraduate, 696; full-time graduate and law school, 3,814; part-time graduate and law school enrollment, 1,868. STUDENT DEMOGRAPHICS The total student population at Syracuse University represents all 50 U.S. states and 124 countries. The full-time undergraduate student population consists of 57 percent women and 43 percent men. FIRST-YEAR STUDENT PROFILE The freshman class of 3,263 students has a mean high school GPA of 3.6; consists of 31 percent students of color; and 17 percent first-generation students; 42 percent from New York State; 52 percent from other states nationwide; and 5 percent from other countries. The entering student population consists of 58 percent women and 42 percent men. DIVERSITY Minority students represent 22 percent of the total student population of 19,638. This includes 7.1 percent African Americans; 7.6 percent Asian Americans; 5.87 percent Hispanics; 0.8 percent Native Americans; and 1.1 percent of two or more races. FINANCIAL AID Last year, nearly two-thirds of SU students received more than $160 million in Syracuse University grants and scholarships. Overall, 80 percent received some form of financial support, including assistance from institutional, federal, state, or private sources. FACULTY Full-time instructional faculty, 955; part-time faculty,94; adjunct faculty, 440. Class sizes are generally small, with an average faculty to student ratio of 1:15. 2008-09 GRADUATES Bachelors, 2,670; Masters, 1,846; Juris Doctors, 217; Doctoral, 146. CURRENT ALUMNI ON RECORD 235,512 alumni representing all 50 states and 163 other countries. STAFF Full-time staff, part-time staff, 376. LIBRARY HOLDINGS Printed volumes, 3.2 million; microforms, 7.53 million; current periodicals/ serials, 39,703; electronic books, 22,791. TUITION Full-time undergraduate tuition: $33,630 per year plus housing, meals, and expenses. SPONSORED PROGRAMS A total of $67.5 million was awarded for research, teaching, and other sponsored programs in fiscal year 2009. The federal government is the major sponsor ($37.5 million). The largest non-federal sponsor is New York State ($18 million). LONG-TERM INVESTMENT FUND The market value was approximately $699 million as of 12.31.09. THE CAMPAIGN FOR SYRACUSE UNIVERSITY Gifts and pledges from individuals, corporations, and foundations totaled $700.5 million as of 12.31.09. SU alumni make their mark in a variety of professions—from actors to zoologists and everything in between. Here are just a few who deserve special recognition. Sarah Marinda Loguen (1876) fourth African American woman physician in U.S.
One of the oldest international study programs in the nation, SU Abroadoffers unforgettable learning opportunities in more than 30 countries, with major centers in London, Florence, Hong Kong, Beijing, Madrid, Santiago, Chile, and Strasbourg, France. This year, more than 2,100 students from SU and other universities will expand their horizons through SU Abroad. Welcome to the LOUD HOUSE!!! Come experience the mystique of DOME-ination. The electricity and cheers that 32,000 fans bring to the Carrier Dome sends chills through your body when watching the Syracuse Orangemen dominate their opponents on the basketball court as they improve their impressive all-time Dome record of 279-57. The Carrier Dome, America’s most famous and largest structure of its kind on a college campus, is a facility that generates media exposure and adds glamour that attracts some of the nation’s most talented student-athletes to Syracuse University. Former greats that have graced the Carrier Dome hardwood include Dwayne “Pearl” Washington, Billy Owens, Rony Seikaly, Sherman Douglas, Derrick Coleman, John Wallace, Jason Hart and Etan Thomas. Eighteen million people have passed through the Dome’s revolving doors since the building’s first public event in 1980. Most fans are aware that the Carrier Dome is a tough place for an opponent to play a basketball game. Just ask the Georgetown Hoyas who witnessed the Dome’s largest on-campus crowd in college basketball during the 2000 season. 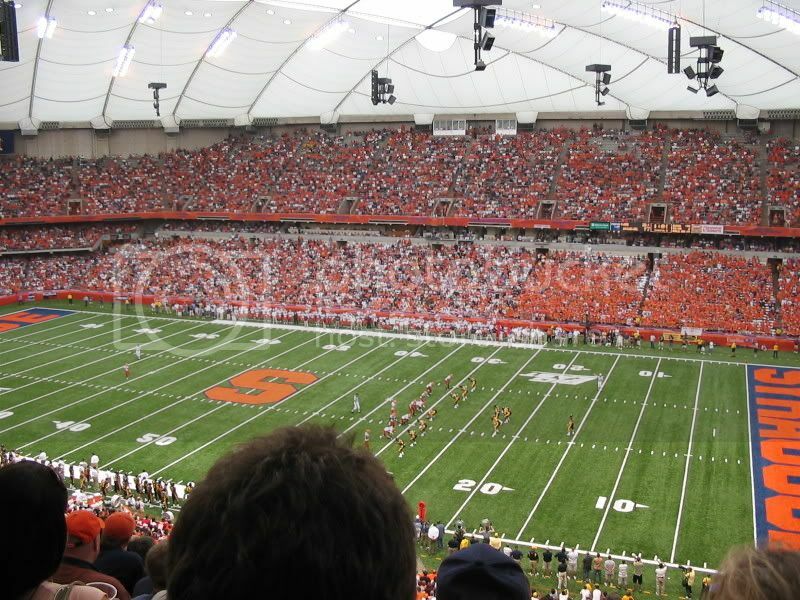 The Carrier Dome welcomed 31,009 fans the day the Orangemen played the Hoyas. The Dome also was host to the 2000 NCAA East Regional Tournament in March and continues to act as a multi-purpose facility adaptable to staging events. These events range from the annual spring commencement to concerts featuring musicians such as Bruce Springstein and Billy Joel and ice shows such as the sold-out performance of former Olympic skaters. In addition, the Dome also hosts SU’s nationally-ranked football team, the seven-time NCAA Champion men’s lacrosse team, the women’s lacrosse squad and the track and field teams. DOME, SWEET, DOME is the home of the Syracuse Orangemen football team who play hard and play orange in one of the finest, most intimidating structures of its kind on a college campus. The electricity and cheers that 52,000 fans bring to the Carrier Dome sends chills through your body when watching the Syracuse Orangemen run over their opponents on the gridiron. The fans add to the aura, glamour and mystique that has an immediate impact on viewers when watching the Orangemen on television. The constant media attention helps to equate the Carrier Dome with Syracuse University, which helps attract the highest quality of student-athletes to come play in the Dome such as former Orangemen Don McPherson, Marvin Harrison, Rob Moore and Donovan McNabb. Most Syracuse fans are aware that the Carrier Dome is a tough place for an opponent to play. It’s particularly tough to play a football game with the help of the electrifying crowd. Eighteen million people have passed through the revolving doors since the building’s first public event on September 20, 1980, – a 36-24 football win against Miami of Ohio in front of 50,564 fans. Although the Dome is most fondly known to football fans for its turf field, it is also a showcase for SU’s nationally ranked basketball team, the seven-time NCAA Champion men’s lacrosse team, the women’s lacrosse squad and the track and field teams. In addition, the Dome’s multi-purpose facility is adaptable to staging events ranging from the annual spring commencement to concerts featuring musicians such as Bruce Springstein and Billy Joel and ice shows such as the sold-out performance of former Olympic skaters. DOME, SWEET, DOME is an exciting place where players play hard and play orange and the fans come together to cheer them on as SU looks to add on to its already impressive all-time football record in the Dome of 82-35-2. The Carrier Dome is where you can be “At Home with the Orange” in the premier intercollegiate lacrosse venue in the nation. The Rubaturf and Tartan playing surface is great for the up-tempo style that has become synonymous with the seven-time NCAA Champion Syracuse men’s lacrosse team. In 1998, SU fielded its first women’s lacrosse team and now the Orangewomen also call the Dome home. The Orangemen and Orangewomen and their fans never have to worry about dodging inclement weather. They have quality practices and enjoy the games in the only on-campus-domed stadium in the nation. The Carrier Dome has always been a tough place for opponents to play because of the loud cheers of the electrifying fans that pass through the revolving doors since the building’s first public event on September 20, 1980. The fans add to the glamour and mystique that makes an impact on viewers when watching a Syracuse game on television. The constant media attention helps to equate the Carrier Dome with Syracuse University, which helps attract the highest quality of student-athletes to come play in the Dome such as former Orangemen Gary and Paul Gait, Casey and Ryan Powell and Orangewomen Lauren Brady, Katrina Hable and Clothilde Ewing. Drumlins Country Club serves as a banquet facility for SU athletics and as home court for the women’s tennis team during inclement weather, while the cross country teams use the golf course for its annual Orange Classic that began in 1998. The club is a three-minute drive from main campus and has seven plex-a-cushion courts along with bleachers for dual meet tennis competitions. The cross country course represents a variety of challenges with rolling terrain as it invokes both the fairways of the golf course and adjacent wooded trails. If you enjoy exercising, then Flanagan Gymnasium is the place to go. It’s open to all SU faculty, staff and students. The Gym is connected to Archbold Gymnasium by a 110-foot glass-enclosed bridge, where you can find three basketball courts, two squash courts and eight racquetball courts with a viewing gallery, matted aerobics room, an exercise/dance area and weight room. The state-of-the-art home of the SU Orange football program first captivates and greets its visitors with the Team Court patio outside the main entrance. The granite dome, which documents the accomplishments of SU football teams over the years is at the center with a ring of granite tablets containing the names of all football captains since 1889 at its perimeter. Then, the building’s entrance opens into a spectacular two-story atrium that features a Football Hall of Fame and recruiting gallery. This area showcases trophies, memorabilia and artifacts of SU’s storied history and Orangemen legends such as Ernie Davis, Jim Brown and Larry Csonka. If you look up, you can see the sun streaming through an arched skylight running the length of the lobby. The first floor also includes the 175-seat Ferguson Auditorium/Ampitheater, recruiting offices, a computer cluster for student-athletes, meeting rooms, locker room, a video room and the office of Coach Marrone. The second level consists of the assistant coaches’ offices and eight team meeting rooms, some of which look down on the entry gallery. The complex also includes a reception area, study lounges and a cafeteria that allows training table meals to be prepared on site. One of the best aspects of the complex is the accessibility of everything to the student-athlete. The complex is connected to Manley Field House, which includes the weight room, sports medicine areas, SU’s athletic department offices and additional locker rooms for Syracuse’s other athletic teams. In addition, practice fields, both natural grass and artificial surface, are plentiful and close to the football complex. With all of these aspects, it’s easy to see why the football facilities at Syracuse are considered second to none. The James A. Ten Eyck Memorial Boathouse is one of the finest college rowing facilities in the country and the headquarters of Syracuse rowing. The newly renovated boathouse, located at Onondaga Lake Outlet in Longbranch Park has a dormitory feel, providing Syracuse rowers with a fantastic facility to train and relax before and after practices. The first floor of the boathouse includes a four-bay boathouse to store equipment and shells. There is a small boat bay and space for coaches’ offices. An observation deck and an indoor lounge overlooking the course’s finish line makes up the second floor, along with women’s and men’s locker and shower rooms and dormitories that provide rowers ample space during pre-IRA training camp and other races throughout the season. The dormitory also doubles as a large meeting room. The James A. Ten Eyck Boathouse was completed and dedicated in 1937 as a memorial to the beloved rowing pioneer who coached Syracuse University oarsmen from 1903 until his death in 1938. 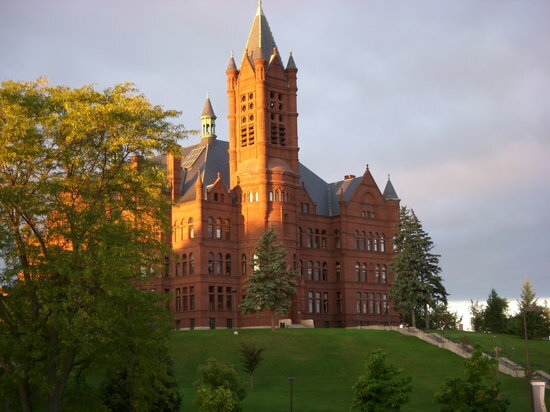 In 1987, the Syracuse University Athletic Department, the Syracuse Alumni Rowing Association (SARA) and Onondaga County funded a major renovation of the historical facility to modernize and enlarge the original structure. The boathouse was formally rededicated at ceremonies on April 30, 1988. If you’re looking for SU athletics, you can find them in the most complete collegiate facilities in the country. The Lampe Athletics Complex provides the comfort of home for SU’s student-athletes, coaches and staff. The sprawling area includes Manley Field House, the Roy Simmons Sr. Coaches Center, the 2,700-seat Coyne Field, the Soccer Stadium, a 400-meter track, and grass football/lacrosse/field hockey/soccer practice fields. Manley Field House has it all. It serves as headquarters of SU’s Athletics Department. It is the home arena for women’s basketball, volleyball, wrestling and Jam Session, an annual charity basketball game featuring members of the SU football team versus the local media. The complex includes a fully equipped weight room and state-of-the-art sports medicine facilities. It also includes ACES, an impressive student-athlete support service area where athletes can meet with tutors, study and have use of the computer cluster. Manley is also a five-minute walk from Skytop, the south campus housing units where most student-athletes live. Also housed in Manley are some of the coaches’ offices, the administration office and the support staff offices. Syracuse student-athletes have access to some of the best practice, training and playing facilities in the country year round. The University is committed to providing state-of-the-art environment to insure Syracuse remains as one of the top-tiered athletic programs in the country. The softball team practices and competes at the Softball Stadium at Skytop, located in a recreational area of South Campus, overlooking the University’s campus, the city of Syracuse and Onondaga Lake. The stadium, which will host 18 home games for the Orange this season, can hold approximately 650 fans. The outfield stretches 200 feet down the lines and 215 feet to straightaway center. The stadium is available for day and evening competitions, with field lights illuminating the games or practices. Directly behind home plate and sitting atop the bleachers is the press box. The stadium houses restrooms and a concessions area. This is a great place for varsity tennis competition and tennis fans. It is located in a recreational area of South Campus, overlooking the University’s main campus, the City of Syracuse and Onondaga Lake. Bleachers are provided for the increasing number of Orange tennis fans so they can watch the action on the 22 wind-protected, plex-a-cushion courts, 16 on the upper bank and six on the lower level. Skytop is the home of exciting matches such as the SUnity Life Tennis Classic that has been in existence since1982. Skytop served as the site of the first-ever NCAA East Tennis Regional in 1996 and the1984 BIG EAST Tennis Championship. You can also find the Lois K. Good Tennis Pavilion up at Skytop. It was built in 1988 to house extra office space for SU tennis coaches, an equipment storage room and restroom facilities. Come cheer the Orange on as it races its opponents around the 400-meter rubberized track. The stadium also includes four long jump pits, high jump and pole vault aprons and throwing facilities to accommodate all track and field athletes. In addition, all SU sport teams use the outdoor stadium and the 200-meter tartan track in Manley Field House for pre- and post- season training. Webster pool is the home of the SU swimming and diving teams located in Archbold Gymnasium, on the University’s main campus. The 25-yard long by 42 feet wide pool has six flow-through racing lanes and an adjacent warm-up area. The gallery overlooking the pool seats 600 swimming and diving fans as they cheer the Orange on to victory. The athletes and fans are also able to instantly see meet results as they are recorded by an electronic timing system and are displayed to spectators.